Hi people! Longe time no see, and it’s my bad… I’ve been so incredibly busy with the move and getting my sewing room up and running again. But now I’m back, so I’ll be posting my latest makes sporadically. First up, is me finally getting back to blogging for Minerva Crafts! 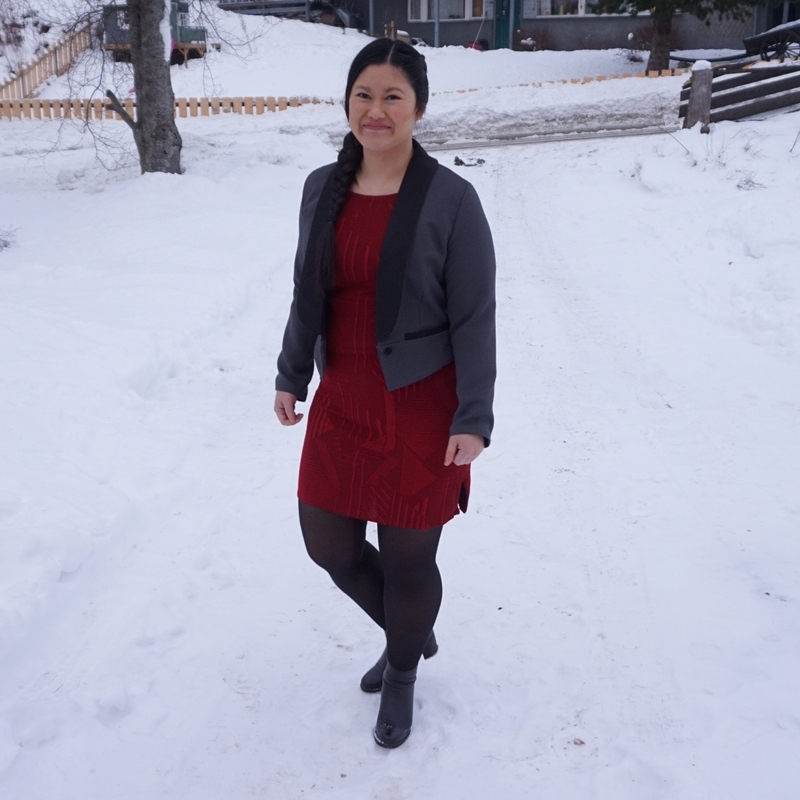 Since it’s still winter here in Norway and I wear cardigans with my dresses I figured I’ll try making the Bellatrix blazer from Papercut Patterns. 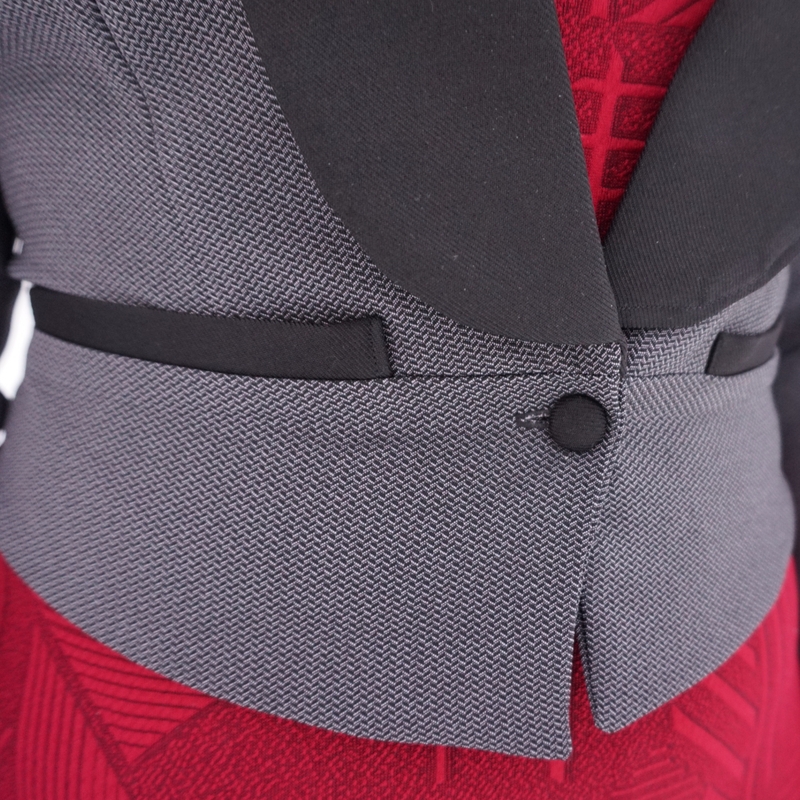 I’ve seen so many beautiful blazer from this pattern, but wasn’t sure if it would suit me. I’m so pleased with how this blazer turned out. The cropped version is perfect for dresses. I’ll be consider making the longer version too in the future since I’m hoping this year will be the year I’ll be making more trousers. Shocking, I know. The blazer is pretty formal with its grey herringbone shell and twill striped collar. But look at the pretty insides! This floral lining makes me so incredibly happy. It’s a slinky satin fabric, perfect for lining as it is slippery so getting into the sleeves with a sleeved garment isn’t a problem. Read more about the blazer over at Minerva Crafts. ← Selene skirt for autumn.